IIFT 2018 was conducted today. 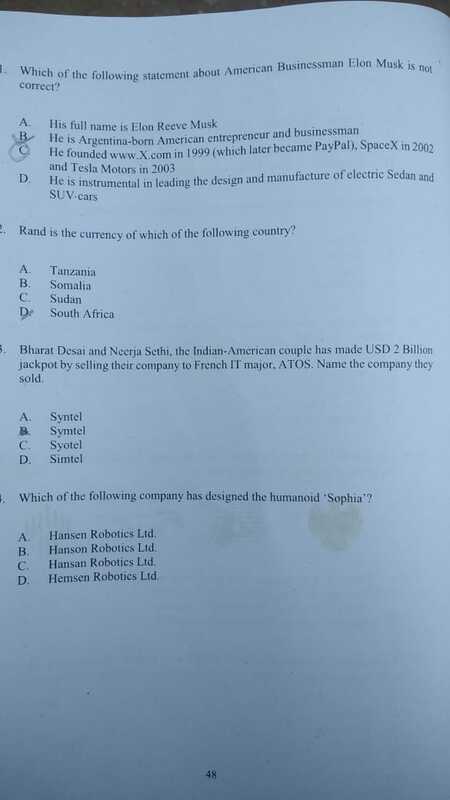 Given below are the images for the questions from the IIFT General Knowledge section. I think the General Knowledge section was not exceptionally hard and it was on the usual pattern. I think the cutoff for the General Knowledge section is bound to be around 3-4 questions. 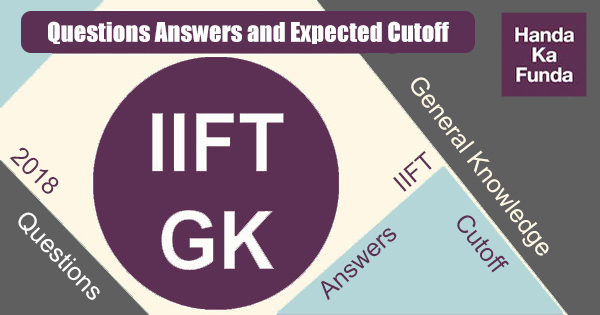 So, if you solved 3-4 questions in the IIFT GK section and had no errors, you should be able to clear the sectional cutoff. However, for someone who was well prepared with General Knowledge section – he/she should be able to solve 8-10 questions in the GK section. One important fact to consider is the fact that the total number of questions has gone down to 18 from 25-30 over the past few years. In 2018 also, GK had 18 questions but they were a lot harder. Cutoff for GK was ~1 marks last year and I expect it to be around 1.5 this year. 97) Production and manufacturing is a core part of operations of a company. It is not carried out by a shell company. 100) Isobront is a line drawn through geographical points at which a given phase of thunderstorm activity occurred simultaneously. Isocheim is a line on a map connecting points having the same average temperature in winter. Isophote is a line in a diagram connecting points where the intensity of light is the same. 103) Track 5 Diplomacy – Research, Training, and Education, or peacemaking through Learning. 104) Indirect taxes are called ‘Regressive’ because they are same for everyone irrespective of income. 107) BIMSTEC countries are Bangladesh, India, Myanmar, Sri Lanka, Thailand , Nepal and Bhutan. China is not a member. 108) Eight Core Industries are Electricity , steel, refinery products, crude oil, coal, cement, natural gas and fertilizers. Pharmaceuticals is not covered. 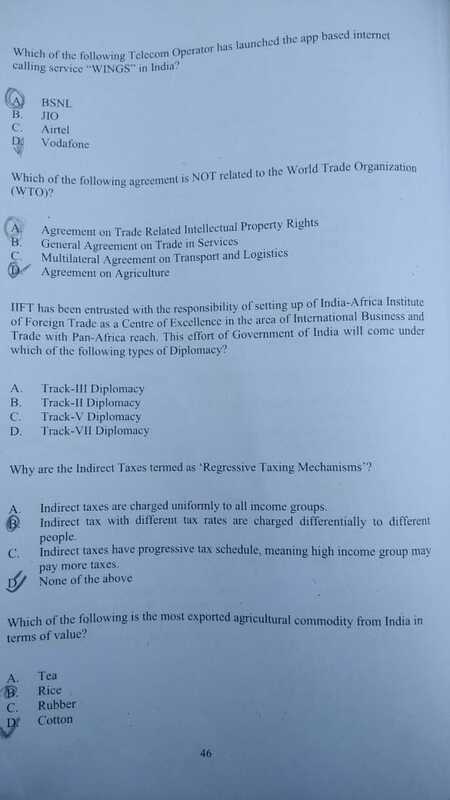 Please note that the answers marked in the image are not the answers by us. 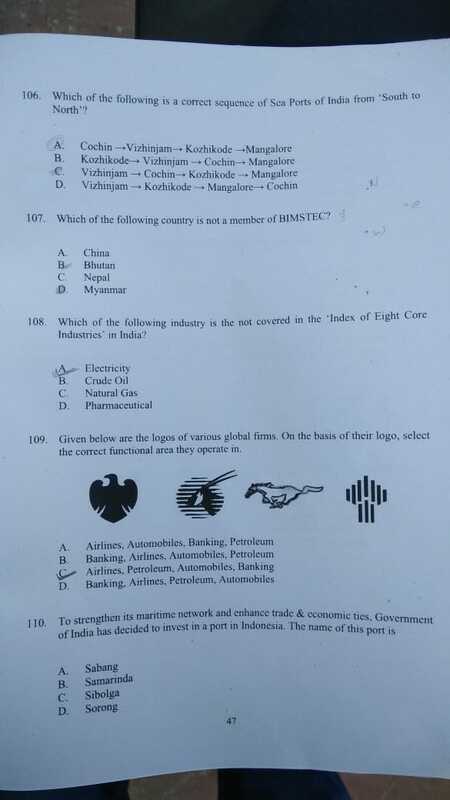 They are the answers that the student who sent us the paper marked in the IIFT 2018 exam.